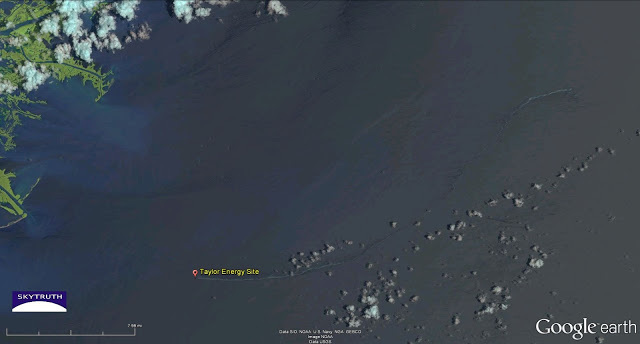 Yesterday the National Response Center (NRC) received a report of a 3-mile-long slick in deepwater, at the extreme southeast corner of the Green Canyon protraction area of the Gulf of Mexico. 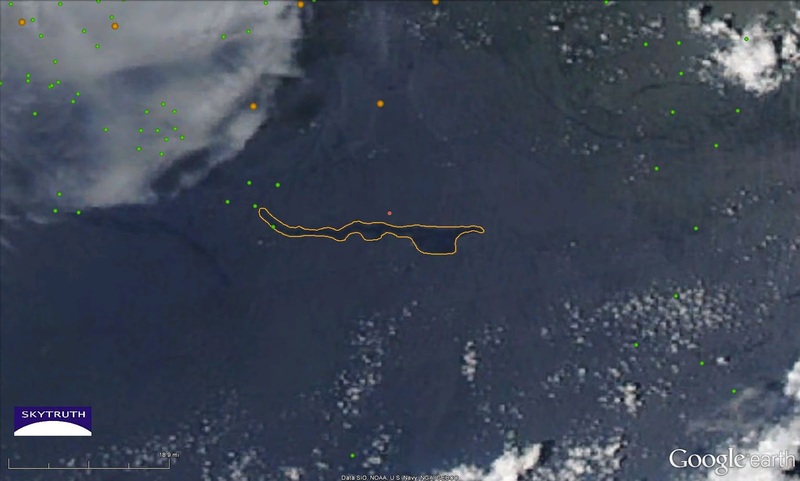 It’s 140 miles offshore and about 14 miles south of BP’s massive Atlantis oil platform. 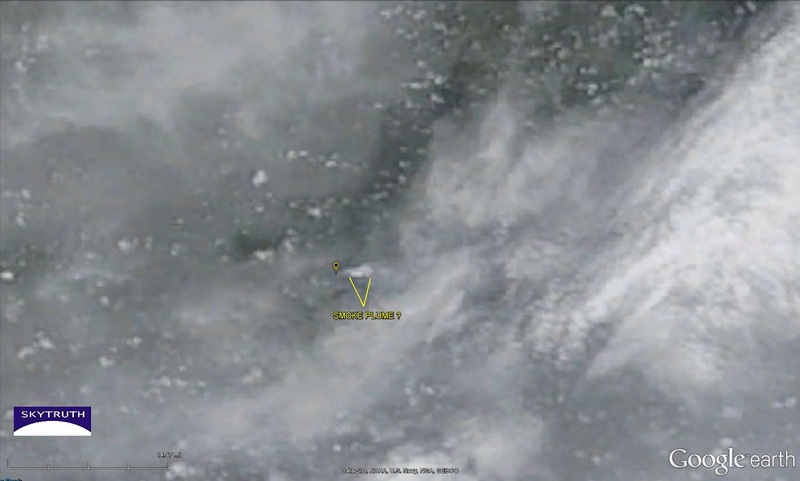 We spotted a slick at that location on a MODIS/Aqua satellite image taken yesterday. But it’s a lot bigger than reported: we measure a slick 27 miles long, covering 103 km2. Assuming a thickness of 1 micron, this slick holds 27,192 gallons of oil (or some oily substance). 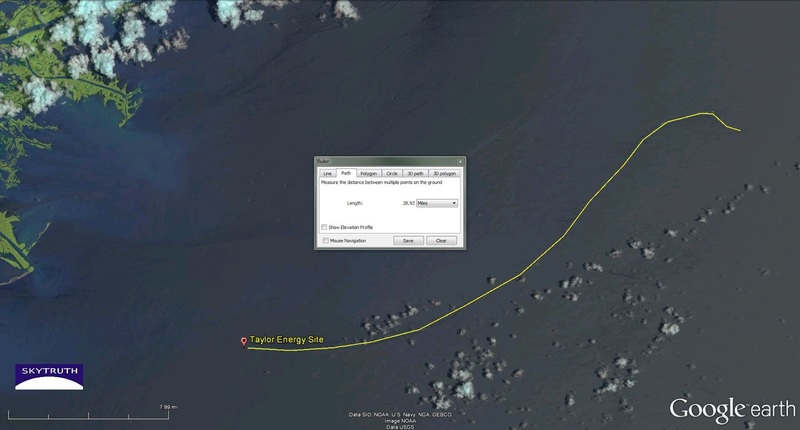 The wind was out of the west at the time, and there are several known natural oil seep locations (shown as green dots) near the “upwind” end of the slick, so this may be an unusually large slick caused by natural seepage. Possible oil slick (outlined) on MODIS/Aqua satellite image taken July 29, 2013. White patches are clouds. Known natural oil seep locations shown as green dots (data from Florida State University). 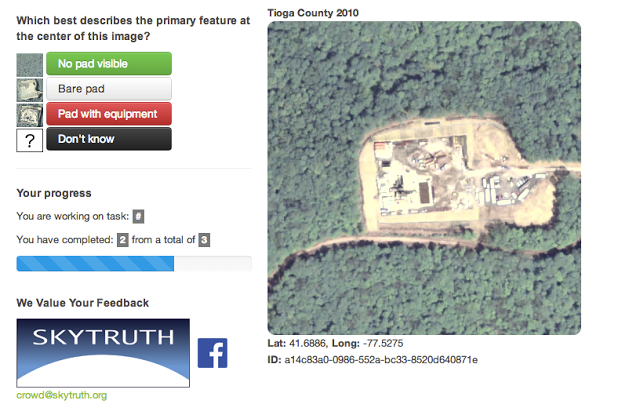 NRC pollution report shown as small red dot at center. Oil and gas production platforms are orange dots. Yesterday the runaway gas well at the Hercules 265 jackup drill rig in the Gulf “bridged over” – essentially choked itself with sand, rock and other debris – shutting off the flow of natural gas, extinguishing the fire that had been burning since Tuesday night. Here is a post-fire photo of the rig. The small production platform it had been working at is a total loss. The jackup itself has sustained plenty of damage but it looks like much is still salvageable. And a very small slick is visible next to the rig. 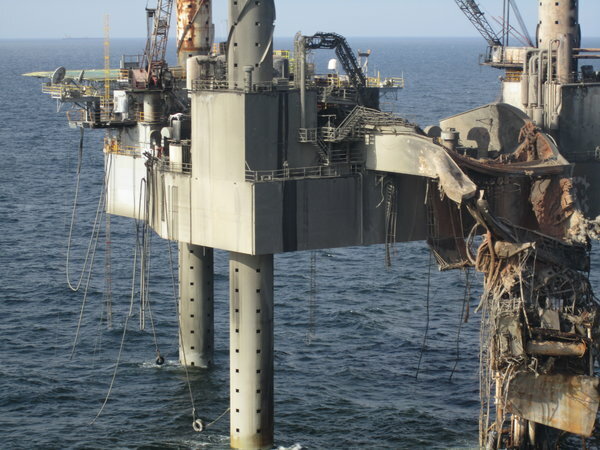 The main questions many folks are asking is — what happened to the blowout preventer? Why did the BOP fail? When are those new BOP regulations that we’ve been talking about since the BP / Deepwater Horizon disaster going to be implemented? 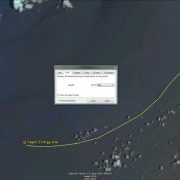 And would those new regs address the cause of failure in this incident? 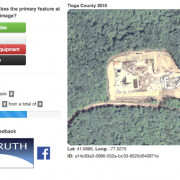 Post-fire photo of Hercules 265 jackup drill rig in South Timbalier Block 220, taken July 25, 2013. 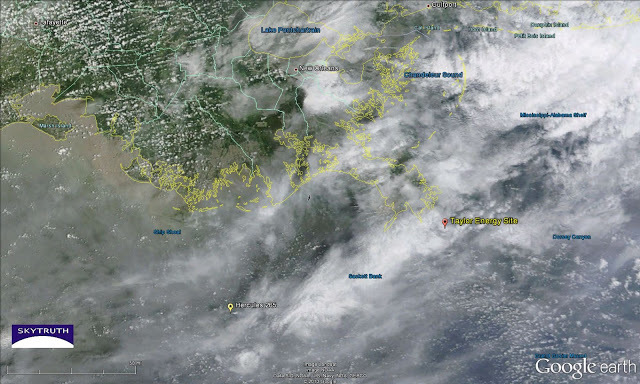 Photo from BSEE via gCaptain. Drilling safety comes down to a lot of nitty gritty details. 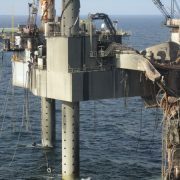 But the BOP is a critical element of safety that deserves the highest level of attention. 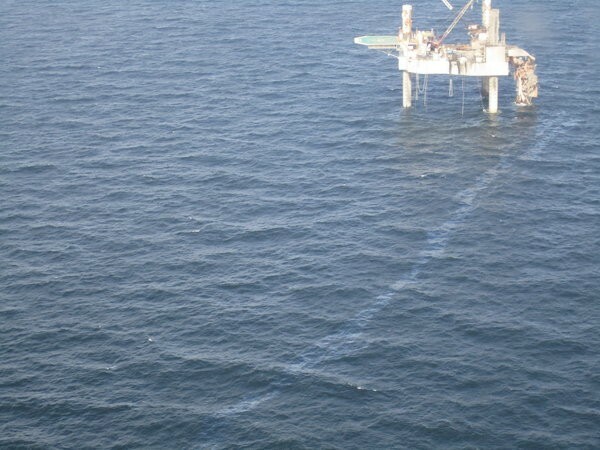 It’s the main thing protecting us from the next major oil spill. And it’s way past time we implemented all of the recommendations made by the National Spill Commission in the wake of the BP / Deepwater Horizon disaster. With a renewed drilling boom underway in the Gulf, and the full-on resumption of high-risk, high-pressure deepwater drilling, we can’t afford not to. 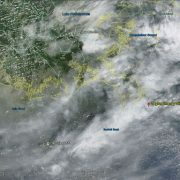 MODIS / Terra satellite image of Louisiana coast, July 24, 2013. Detail from above. 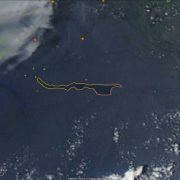 Winds from west; possible smoke plume is indicated.